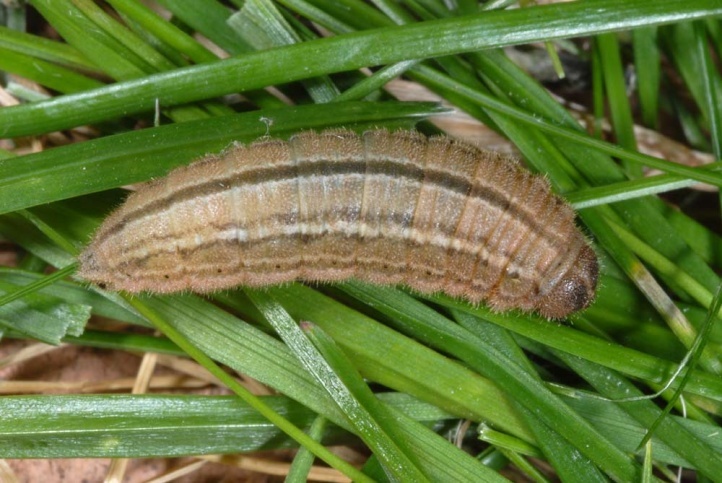 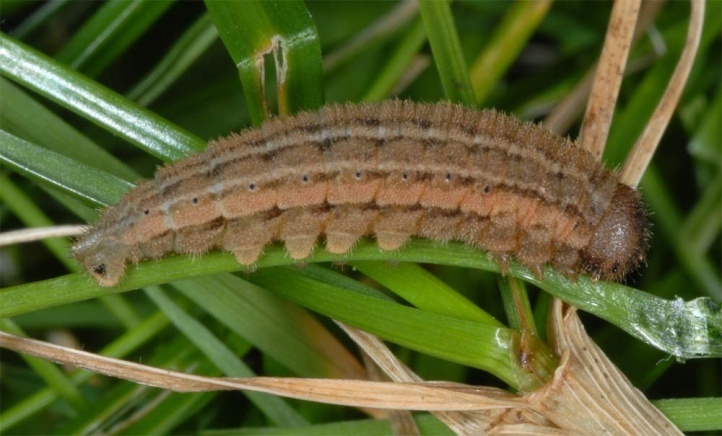 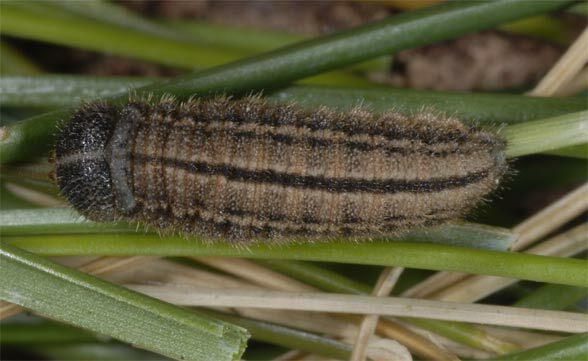 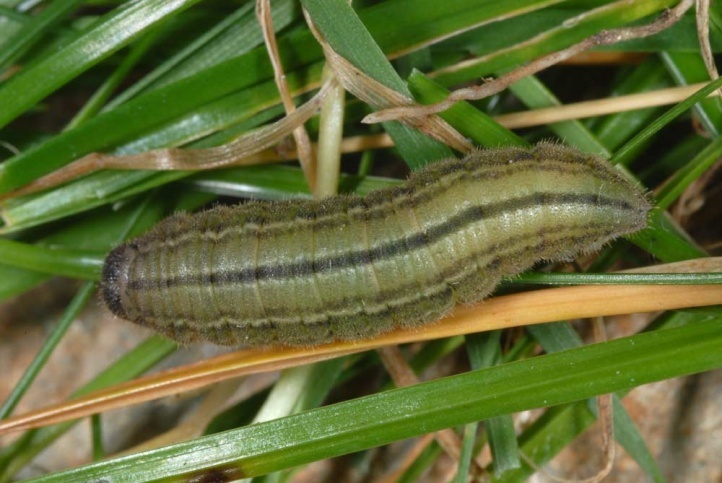 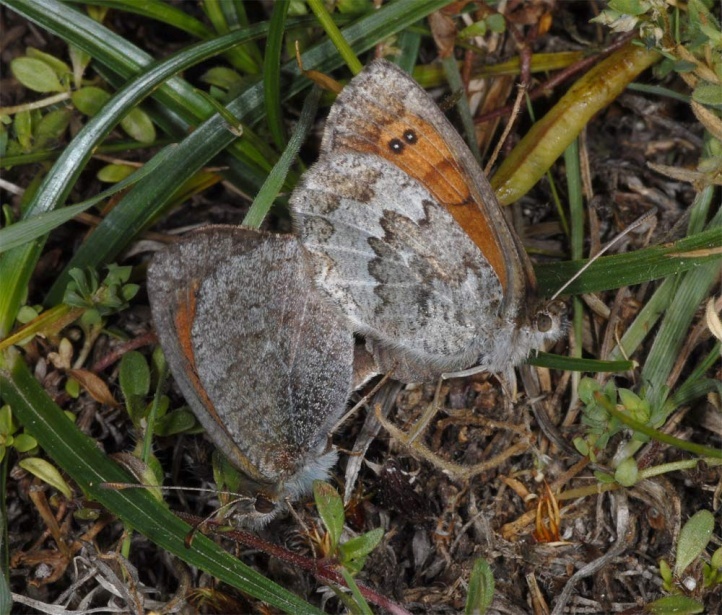 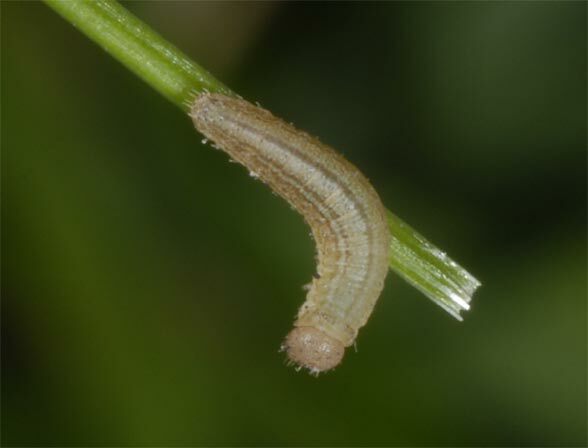 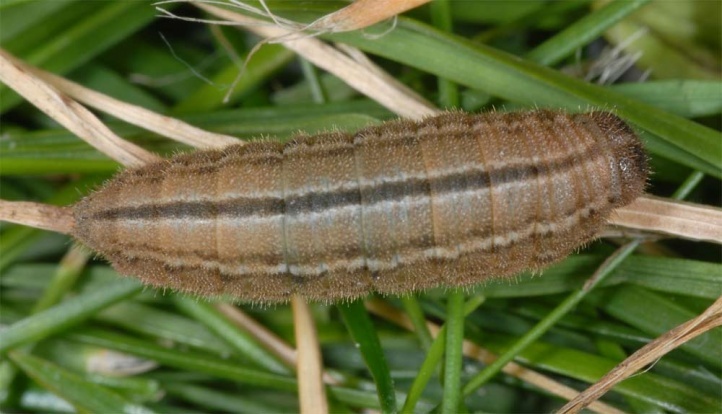 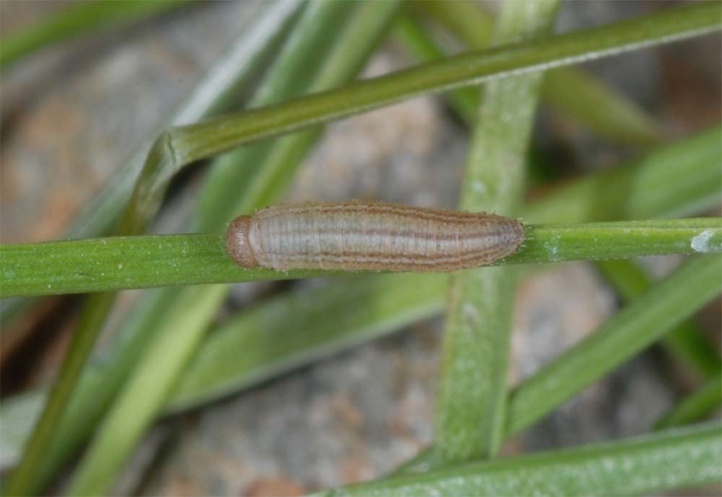 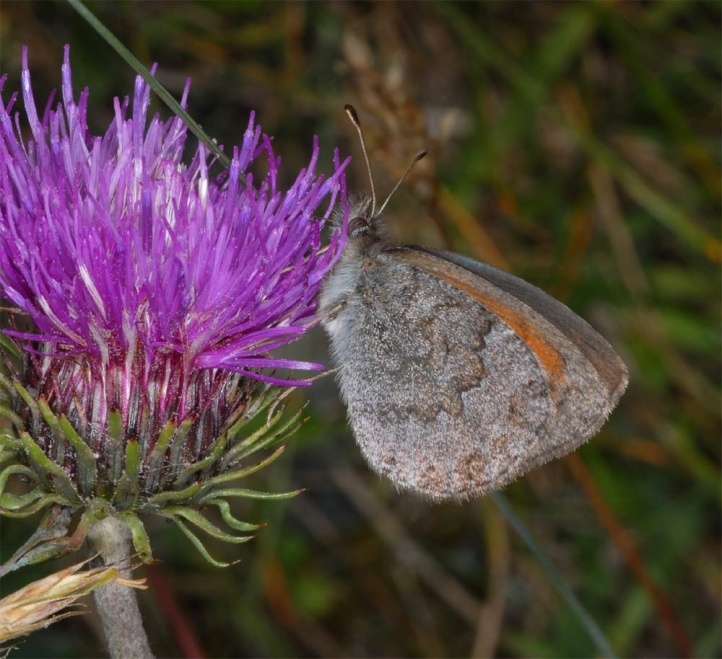 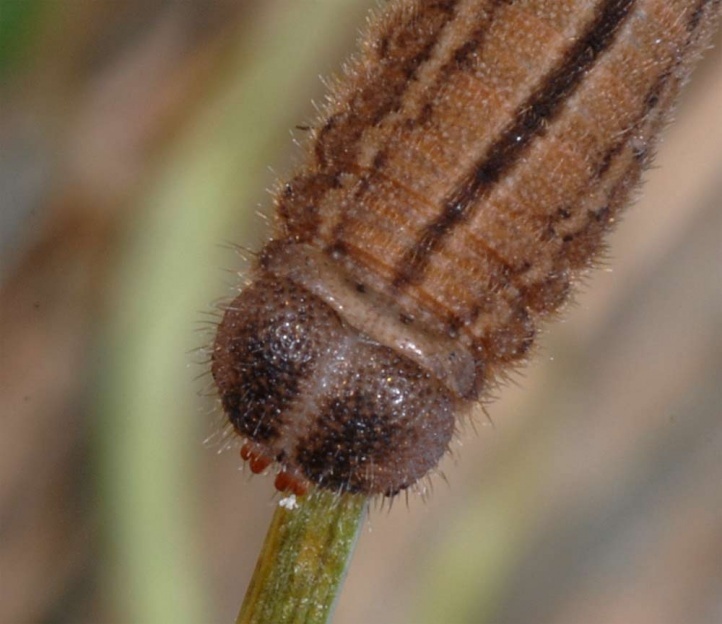 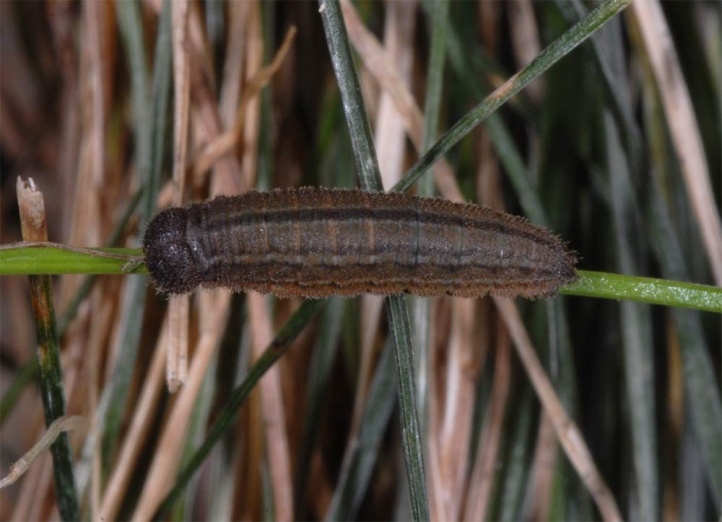 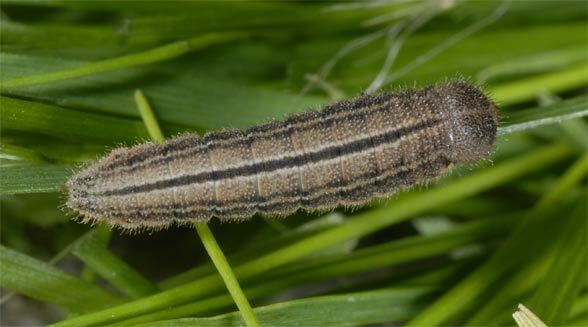 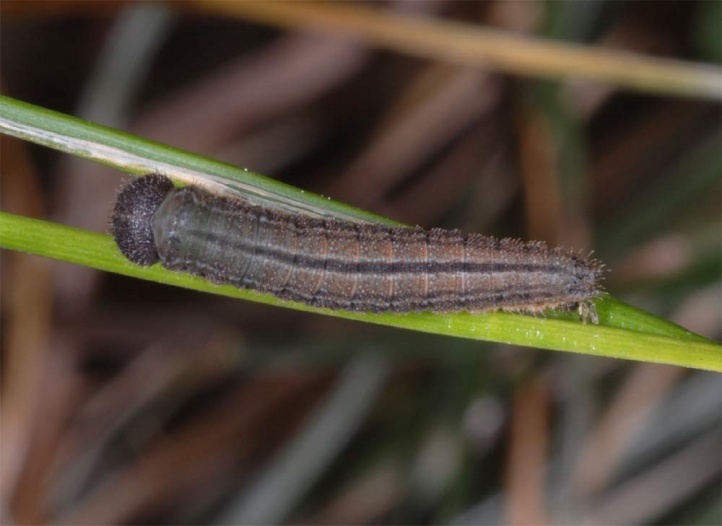 Tha larvae feed on grasses of mostly low to medium production. 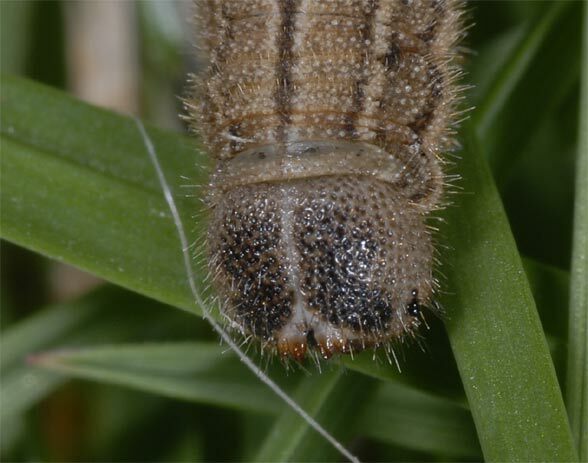 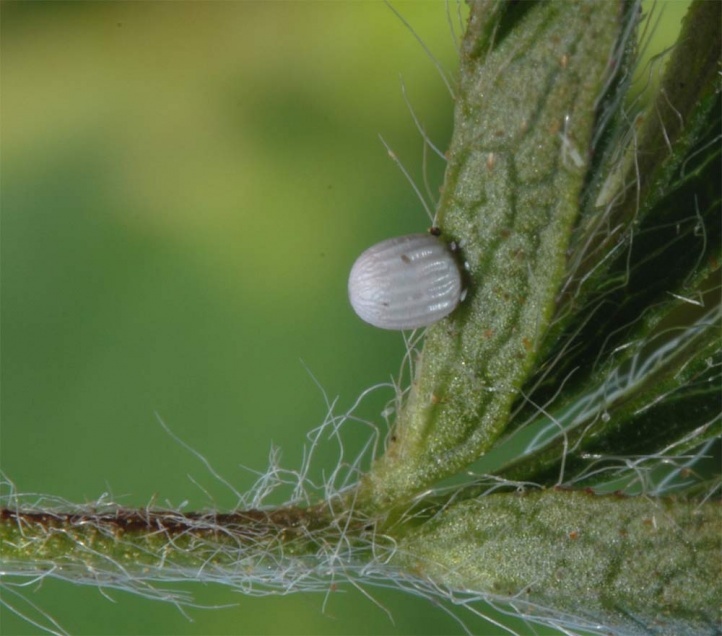 I found many eggs and caterpillars in tuft-forming, neadle-leaved Festuca species such as Festuca qudriflora and F. halleri, but also on Nardus stricta. 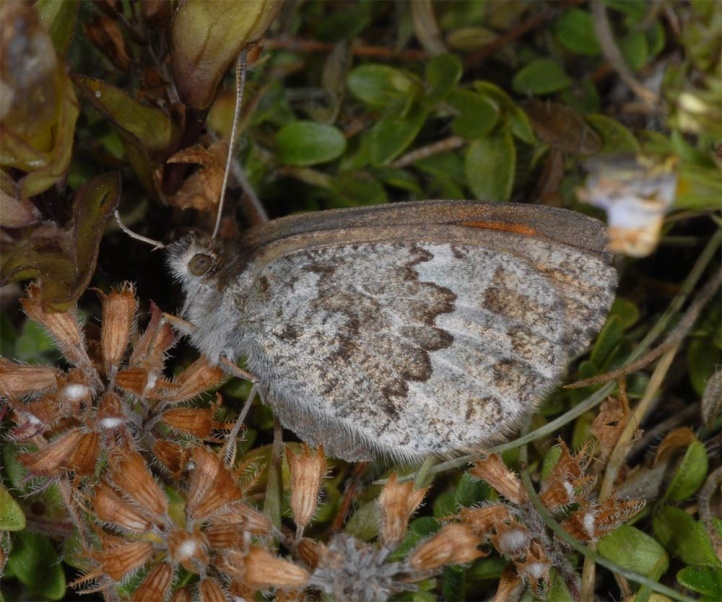 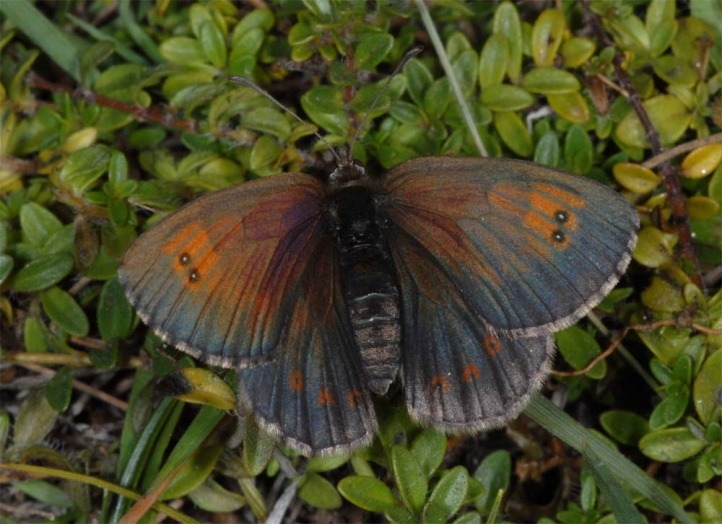 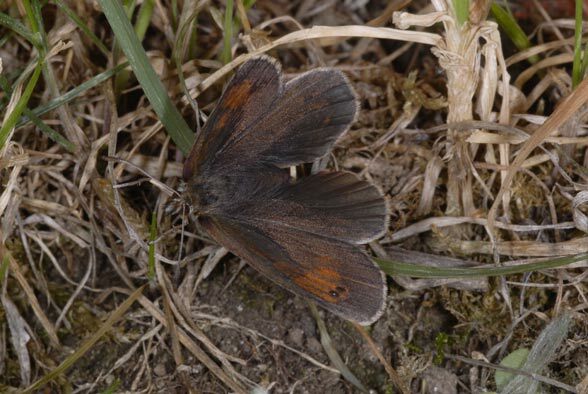 Erebia tyndarus occurs in Alpine meadows, pastures and other grassy places of the Alps from about 1400m above sea level. 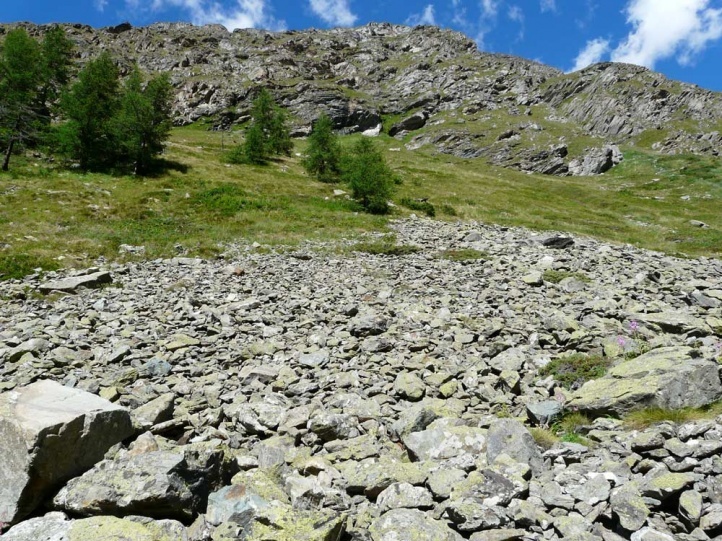 Gappy spots (rocks, earthy cracks, foot steps) must be present. 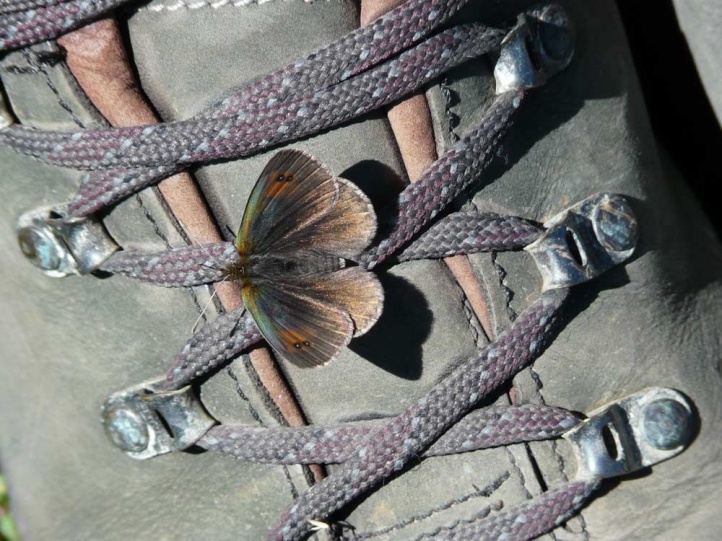 So the butterflies are often perching along earthy trails. 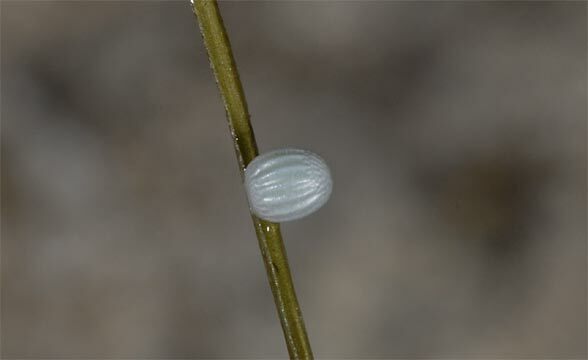 I found eggs attached to Festuca leaves. 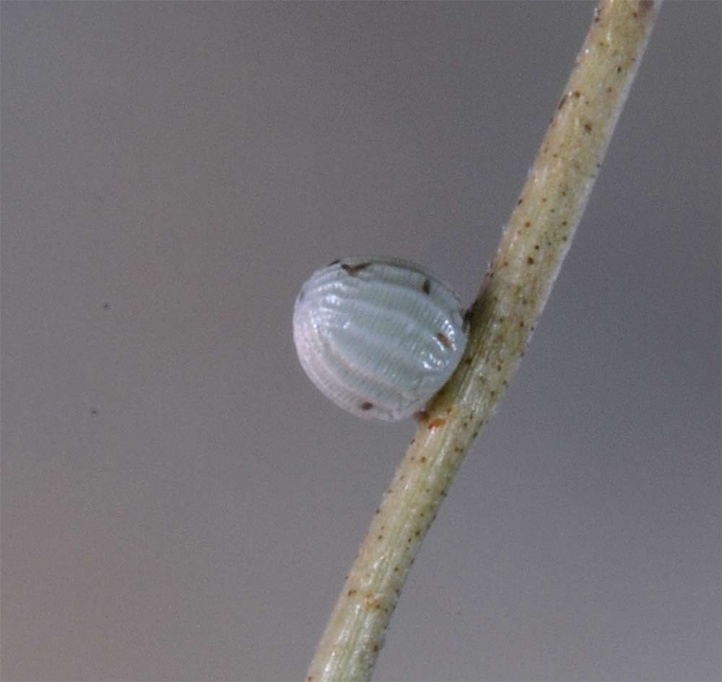 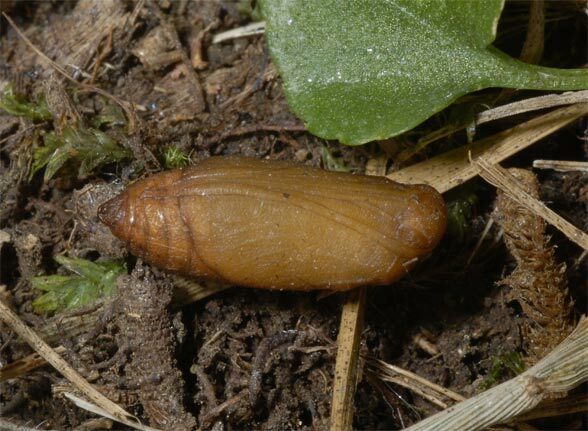 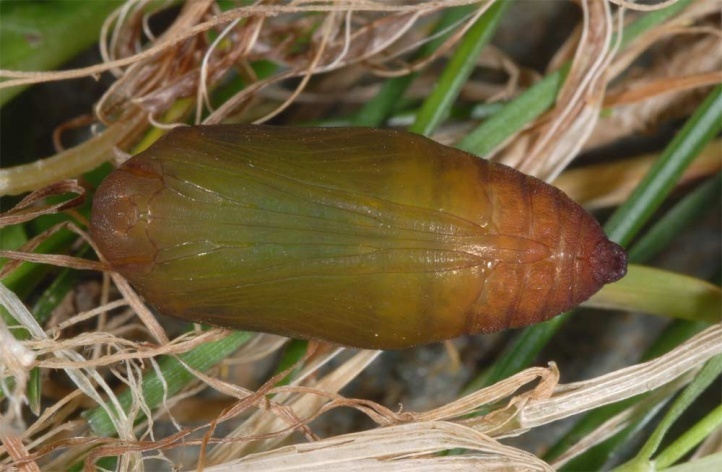 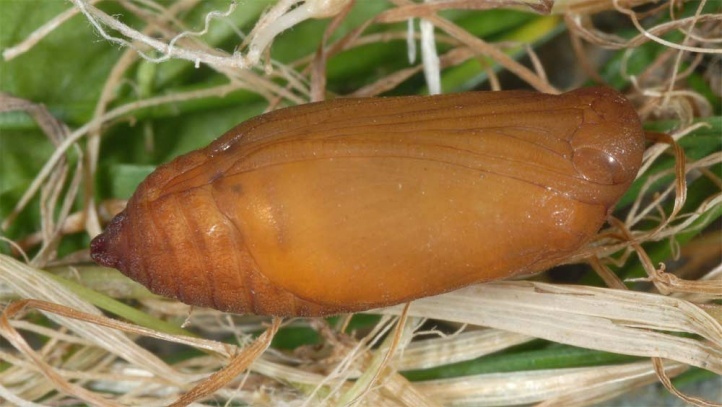 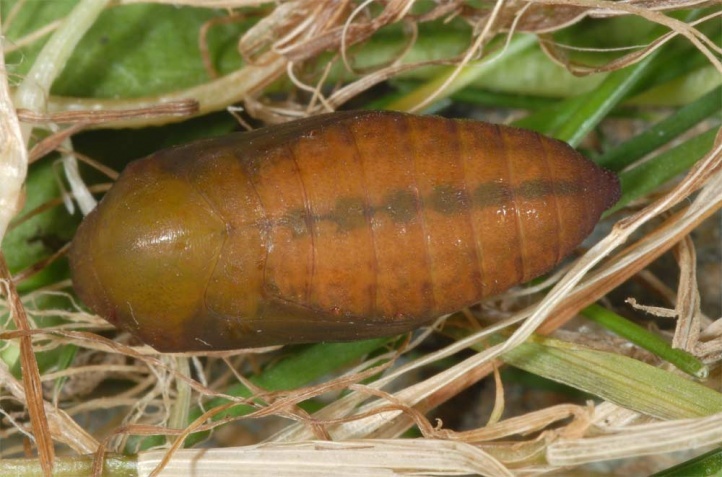 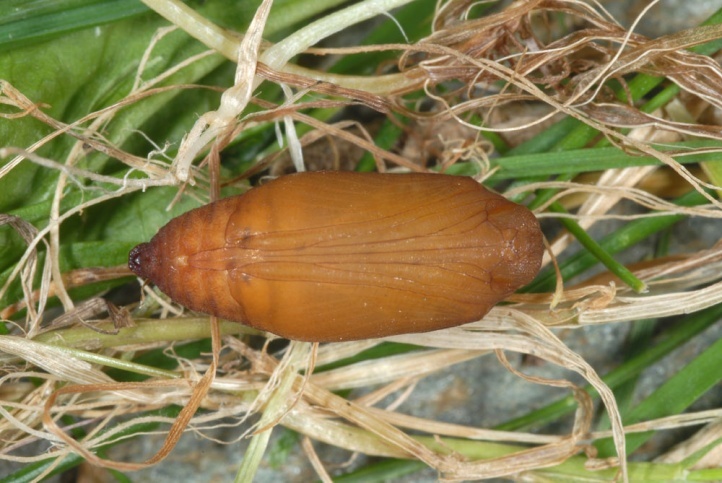 Erebia tyndarus hibernates as a young caterpillar (L1-L2), and has a one-year development. 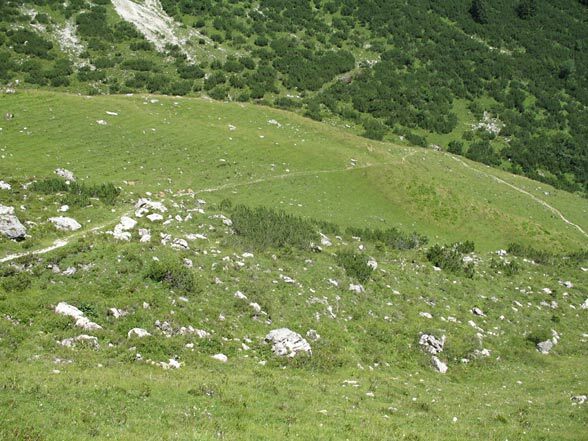 The flight time is therefore rather late from July through September. 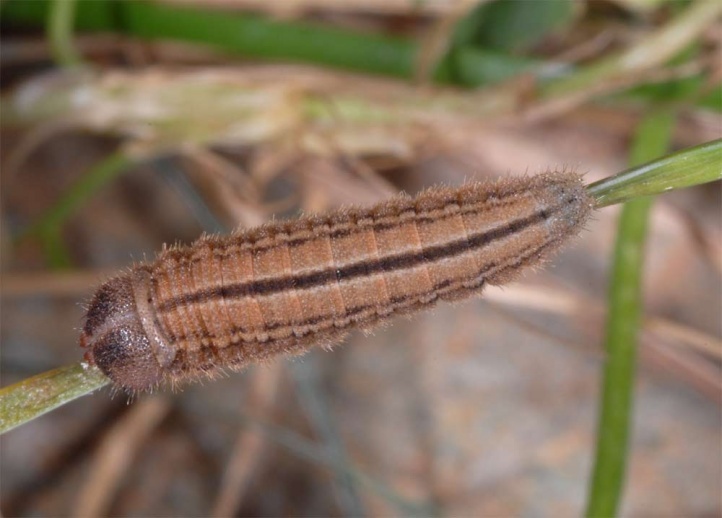 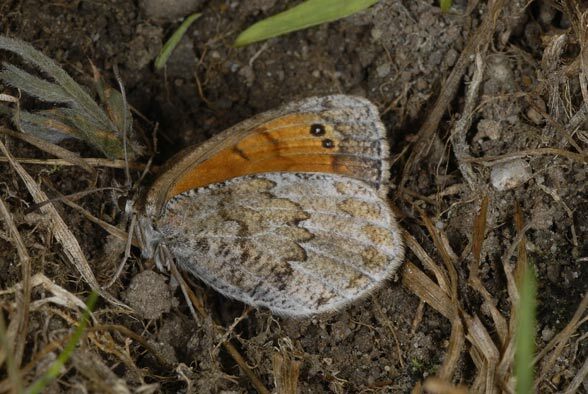 Erebia tyndarus is common throughout its range, and often only at low risk (the usual factors: tourism and other infrastructure projects, agriculture, afforestation). 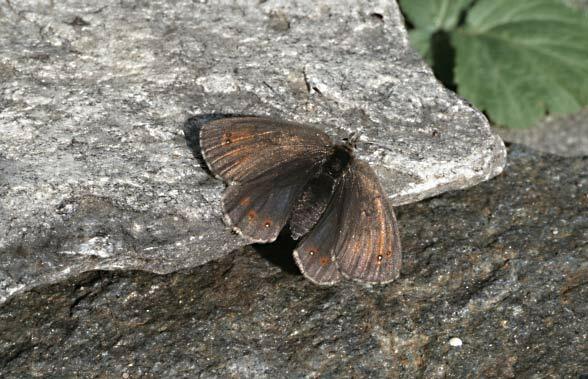 The total distribution of Erebia tyndarus is limited to the area between the western Valais, Northern Italy, the west Bavarian Alps (Allgäu) and extends east to the Stubai Alps. 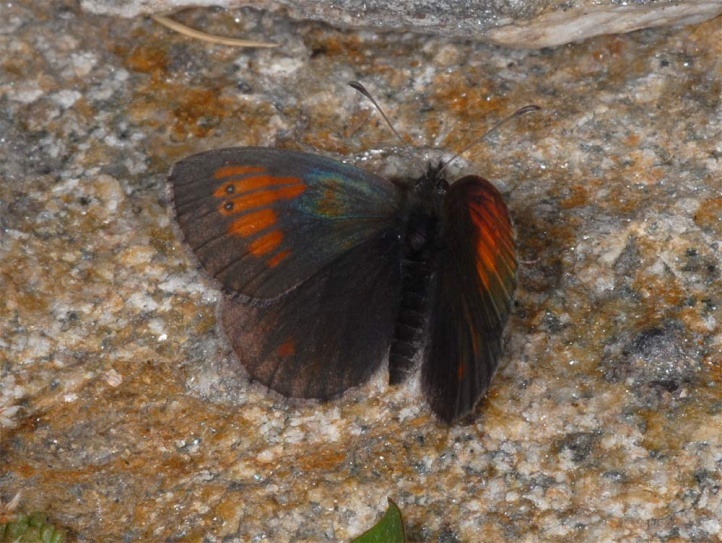 Further west and further east then flies Erebia cassioides respectively its lower taxa (Erebia avernensis).